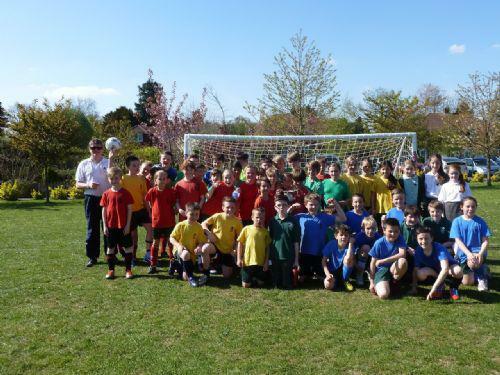 In glorious sunshine the Yr 5 and 6 Inter house football tournament was competitively held at the school on Friday 3rd May. Lots of parents and ex pupils witnessed a festival of fantastic football. “As a player I was really pleased to see that everyone was being competitive and fair to each other,” said Archie Jones, player for Yellow house. “There were great goals that could have been entered for goal of the month on the BBC,” said Mr Irvine. All in all we were all treated to a great afternoon of football and the results are listed below. Congratulations Red house for winning!